Mario Vargas Llosa (Spain -born in Perú-, 2010). 5. 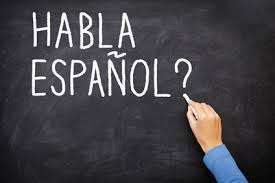 There are more than 40,000 words and conjugations in Spanish with all 5 vowels. They are called panvocálicas or pentavocálicas. But curiously, neither of these two terms are defined in the Royal Spanish Academy Dictionary (DRAE). 6. After Latin, the language that has had the biggest influence on Spanish is Arabic. Today, the foreign language exerting the most influence is English. Gustavo, Perfect Sunset School CEO and director. I create the school to show our students a life change experience in Costa Rica. I love surfing and teaching languages... We are more than lessons. The Perfect Sunset School was founded by Gustavo Merlino in Playa Hermosa from Santa Teresa Beach,Puntarenas, who created the school to share his two strongest passion, surfing and Latin culture. We want you to spend the best time of your life with us, if you have any questions contact us, we are here to help you.